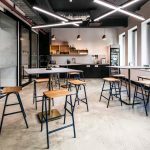 IA Design were engaged by Knight Frank, on behalf of building owners (AMP) to design two show suites to assist in promoting the lease of empty spaces. Both show suites were designed to be unique and memorable, appealing to prospective tenants and providing them with a vision that would allow them to see themselves within the tenancy. As the IA Design team weren’t designing for a specific client, each suite was designed with optimal flexibility in mind to ensure that the show suites met the needs and aspirations of a wide audience. 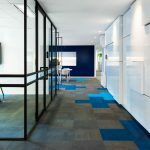 Both show suites were designed to offer the latest in design thinking – providing contemporary, sophisticated office environments adopting the latest workplace trends.